Twilight Whispers Custom pony. 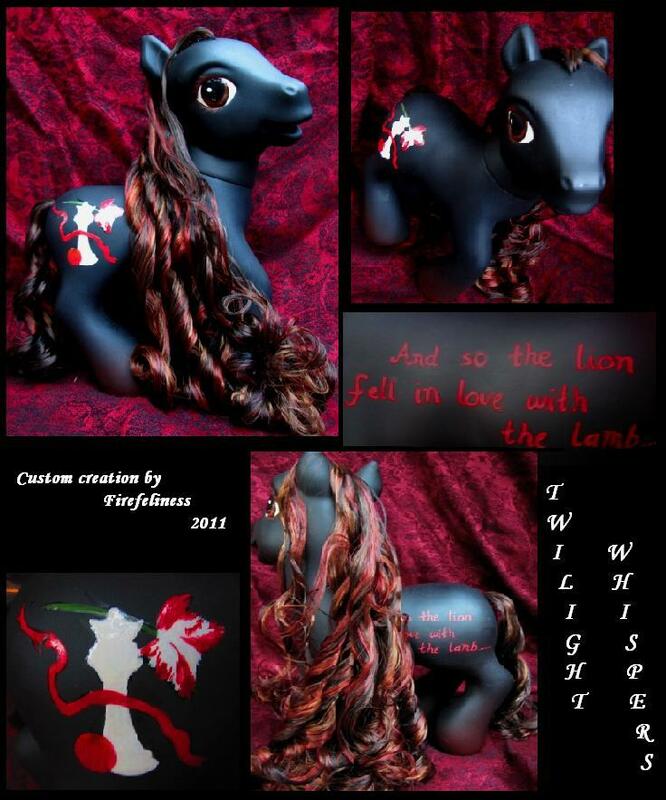 A custom My Little pony based of the Twilight book series, is currently for sale on ebay,. HD Wallpaper and background images in the Twilight-Serie club tagged: twilight edward breaking dawn twilight saga. This Twilight-Serie fan art might contain anime, comic, manga, cartoon, comic buch, karikatur, and comics.